Eyebrows are one of the most important facial features. Skin Deep delivers a very natural looking option for your eyebrows to look their best! 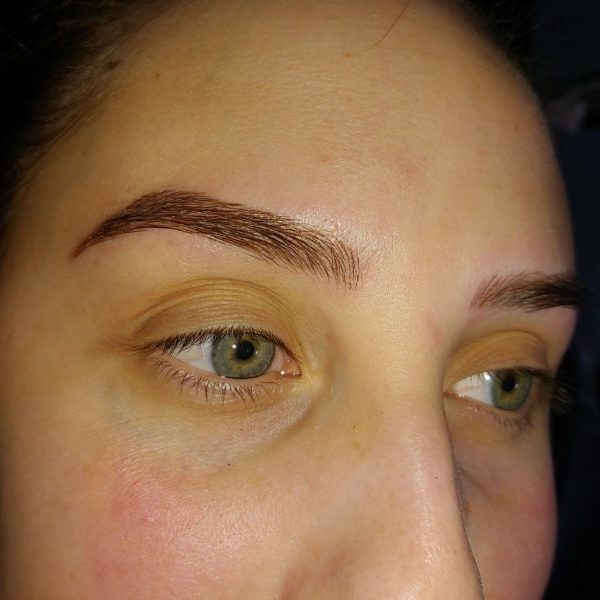 Microblading deposits cosmetic tattoo pigments in fine crisp strokes giving the appearance of natural hair. Brows are precisely measured by an experienced professional and personalized for each individual to give you the full shapely brows you desire. Since microblading is a tattoo procedure you can feel confident that the professionals at Skin Deep are licensed by the State of Nebraska and are specifically trained not only to perform the procedure correctly but are held to a higher standard of cleanliness to ensure your wellbeing. Depending on your skin type, microblading last from one to three years. Yearly maintenance is recommended to look their best. A topical anesthetic is applied pre-procedure to limit discomfort and detailed aftercare instructions will be given at the time of service to ensure the healing process goes well. This includes; consultation if desired, and the procedure and touch up (if needed) within a four to eight week period.